infrastructure in the area. To recover the condition in that area, Urbane Community joined disaster response action from Harian Seputar Indonesia. Then, Harian Seputar Indonesia together with Urbane Community, supported by MNC group and Sindo Newspaper, helped the Pangalengan community by designing and building Madrasah Hidayatul Islam PAUD TK/TPA school from Yayasan Usaha Pembinaan Pendidikan Islam (YUPPI). 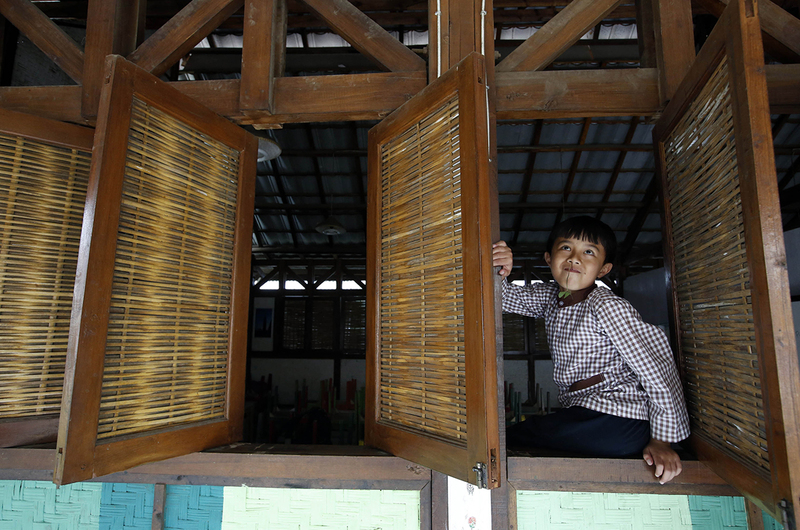 The school is expected to be the pilot of the earthquake resistant school. design / image to be built must be made within a three -dimensional image with a high level of detail so that the local craftsmen -who do not understand the working drawings will understand. priority, thus the use of glass in the window is avoided to reduce the risk of earthquakes. The building is an addition of 6 classrooms, which consists of 4 units of 2-storey building, and 2 units of 1 floor building with a flexible design that can also be used as a multipurpose room. The school was unveiled in September 2010.